Mehwish Siddique born in Karachi, started her career as a theatre artist. She has a degree in acting from the National Academy of Performing Arts and she has a bachelors degree in Psychology. She started her career in 2008 as a TV actress. Her acnhoring career started in January 2001. Her interests include reading and acting. Mehwish Siddique will be anchoring “Awam ki Awaz” which will be aired every Friday at 22:03pm – 23:00pm at SAMAA tv. Mr. Faiq Husain, President and CEO of Rozgar Microfinance Bank is an MBA (Finance) from IBA, Karachi. He has over twenty years experience of Investment Banking, Lease Financing, Monitoring, Settlements, Recovery of dues, Asset Management etc., at different senior levels viz. Vice President, Senior Vice President, Executive Vice President and Acting Managing Director of a Joint Venture Financial Institution of the country. He has been actively supporting self-employment through Micro Financing, and has written papers also on this subject. Carla Khan is from the great line of squash champions, her grandfather being Azam Khan, great uncle Hashim Khan known as the godfather of squash. Her Father is from Nawakille, Peshawar, Pakistan he was a junior world champion and won the prestigious Davis Cup which is equivalent to the British Junior Open. She started with her brother playing squash at the age of 12, from the very first moment she stepped onto the court she realised that this was what she wanted to do for a long time to come. Carla Khan reached 20 in the world on the professional women's International circuit, she represented England and was a top junior player having won various junior titles including being European junior number one. At the age of 19 she changed to represent Pakistan, Carla then made history as she was the first female from the direct line of champions to pursue a career in the game. In November 2002, at the El Salvador Open, she won her first major title. Her improvements continued in 2003, her most successful season yet and won the Ottawa International Open in Canada. She then broke into the top 30 world rankings and soon became the Pakistani National Number One. In 2005 Carla beat current World Number One Nicol David from Malaysia in the Irish Open her best achievement yet. She then went on to win the first ever women's international tournament in Pakistan not dropping a single game beating her opponent from Malaysia in straight sets. Through Carla Khans achievements she gained media coverage around the world and has been recognised as the Squash Queen of Pakistan, her fan base stretches worldwide including ex pats from Pakistan. After a serious back injury in Sri Lanka at the South Asian Games in 2006 whilst playing for the Pakistan team as the Number One, Carla had to stop playing and was informed that her squash playing days were over. However she returned in 2007 and leaped back into the top world 40's, winning the Iranian Open and the Austrian Open. Carla made a decision in 2008 to retire even though she was moving back up the ladder to reach her ultimate goal. Carla has not fully left the sport as she trains, continues to play leagues and coaches squash players. She has now had the opportunity to coach in many countries, having been invited to coach the Iranian women's team, Egyptian women's team, Pakistan girls and in 2008-2009 she coached full time in New York, U.S.A. developing the women's squash at a prestigious Country Club. Carla Khan now retired from the tour but continues to be a role model for women sport players in Pakistan as she made history for sport in the country that opened there arms to her, she is best know as the controversial player and "hardest hitter" who was always aggressive, passionate and determined as life was never easy for Carla, as she was never fully accepted by both English or Pakistani sports institutions but for that reason she strived to do her best. Carla is now pursuing a career in t.v, radio and writing which has always been her passion, Carla would also love to be a spokeswoman for female players worldwide. Yasmeen Ghauri was born in Montreal, Quebec to a Pakistani father, Moin Ghauri, and a German mother, Linda Ghauri. Early on in her life, Ghauri had a difficult childhood often being teased by her classmates at school for being too thin and for her ethnicity. During those difficult days she began to shun people and found refuge in Islam. Ghauri was reportedly working at a McDonalds restaurant at the age of 17 when she was discovered by Montreal hairdresser and salon artistic director of Platine Coiffure Edward Zaccharia. At the restaurant, she often turned up dressed in black from head to toe and people described her as having a rebellious nature. Despite this, she was named Employee of the Month. Soon after her discovery, there was a shift in mentality within the fashion industry, moving from predominantly all-American models to more “ethnic” models, a trend which Ghauri fit. 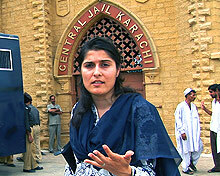 Sharmeen Obaid Chinoy is an Emmy award winning documentary filmmaker. Her films include PAKISTAN’S TALIBAN GENERATION, which aired on PBS, Channel 4, CBC, SBS and Arte and was the recipient of the Alfred I Dupont Award as well as The Association for International Broadcasting award. Sharmeen has made over a dozen-multi award winning films in over 10 countries around the world and is the first non-American to be awarded the Livingston Award for best international reporting. In 2007, Sharmeen was awarded the broadcast journalist of the year award in the UK by One World Media for her work in a series of documentary films for Channel 4, which included a film about xenophobia in South Africa THE NEW APARTHEID. Her other films have been awarded The Overseas Press Club Award, The American Women in Radio and Television Award, The Cine Golden Eagle award and the Banff Rockie Award. Sharmeen was born and raised in Karachi, Pakistan and received a bachelors degree from Smith College and went on to complete two masters degree from Stanford University. 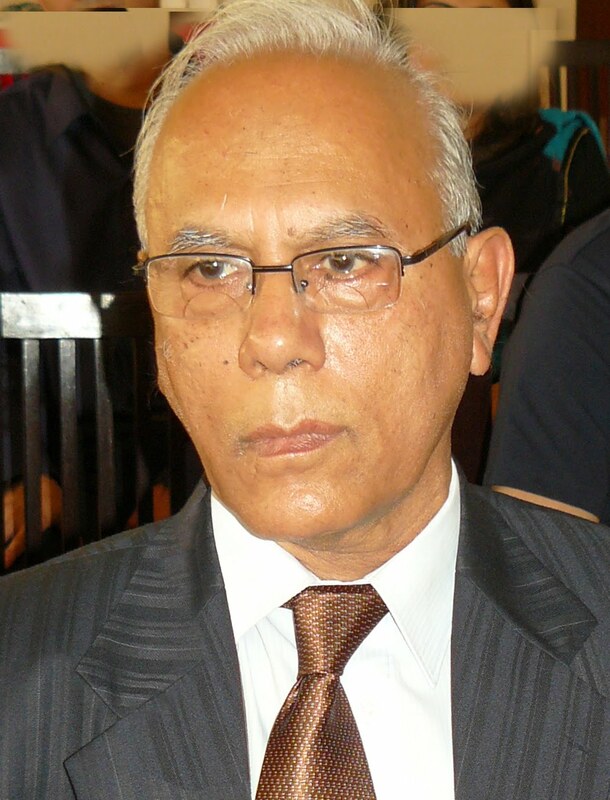 Saalik Majeed associated with Nawa-i-Waqt Group since last two decades. He has been reporting for daily Nawa-i-Waqt especially in the fields of Judiciary and Sindh Government, Human Rights, Investigative Reporting. Also interview leading personalities for Waqt TV for the Program “Exclusive Interview, News Desk". His political diary publishes Nawa-i-Waqt regularly on every Wednesday. He is also the beaurue correspondent of Pakistan's leading political weekly Nida-e-Millat. He has written two books on politics. He has done Masters in Political science from Karachi University getting top position in first class first division on his credit. She has done her masters in Mass Communication from university of Karachi. She joined PTV as an anchor in 1994 and worked till 1998, during this period she also won the best anchor award from PTV. After that she joined Geo News as an anchor in 2002 where she worked for 2 years. In 2004 she joined ARY News as an anchor and producer in current affair dept till 2009. She joined Indus News as morning show host in 2009 for one year and right now she is working as a host at Waqt News in their prime time program “Zabardast”. Farida Gul Haroon is a self taught artist who attended Art College in Lahore, Pakistan. But the muse that inspired her creativity was the experiences and the tribulations that she witnessed. Oppression, misery and suppression make the silent tales of the inner world of women. It is an indelible stain on humanity void of compassion, dehumanizing both the oppressed and the oppressor, and the evidence of it is so offensive to modern sensibilities and sensitivities that we preserve proof of it as lessons for the coming generations. She tried to put on to canvas what she felt and by not taking the “side road”. She is more interested in the philosophy of life and the struggle of the feminine role. Farida has a unique perception which some refer to as mysticism. This is the spiritual influence that greatly impacts her work. She paints in different mediums at different times,although she loves gold leaf addition to her work!!! Khalid Anum is a popular Pakistani TV artist as well as a musician and singer. Khalid Anum rose to fame with 'Peera Ho', a single he wrote for the popular drama of the 1990's, Mystery Theatre. 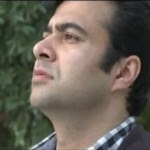 Khalid Anum is also a popular actor as well, and has acted in several Pakistan drama serials. He has been in the Pakistani media industry for over two decades, so it can easily be said that he is one of the experienced heads. His acting skills have not gone unnoticed, and he is considered to be a very famous media personality. Moreover, Khalid Anum is also a TV presenter as well, and has hosted several television shows. Shaheen Atiq-ur-Rehman is a social worker and politician. She was born in April 1948 at Sialkot. 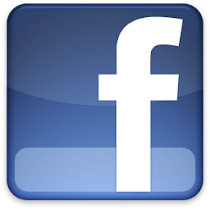 She obtained the degree of M.A (Administrative Sciences) in 1971 and that of LL.B. in 1975 from University of the Punjab, Lahore. She also remained Member, Punjab Assembly during 1985-88 and also functioned as Minister for Social Welfare & Womenâ€™s Development during 1985-87. She has returned to Punjab Assembly for the second term in General Elections 2002 against one of the seats reserved for women. Shaeen atiq ur Rehman was awarded Communes Medal in 1998, by UNESCO in Paris for getting international recognition for her work in literacy. 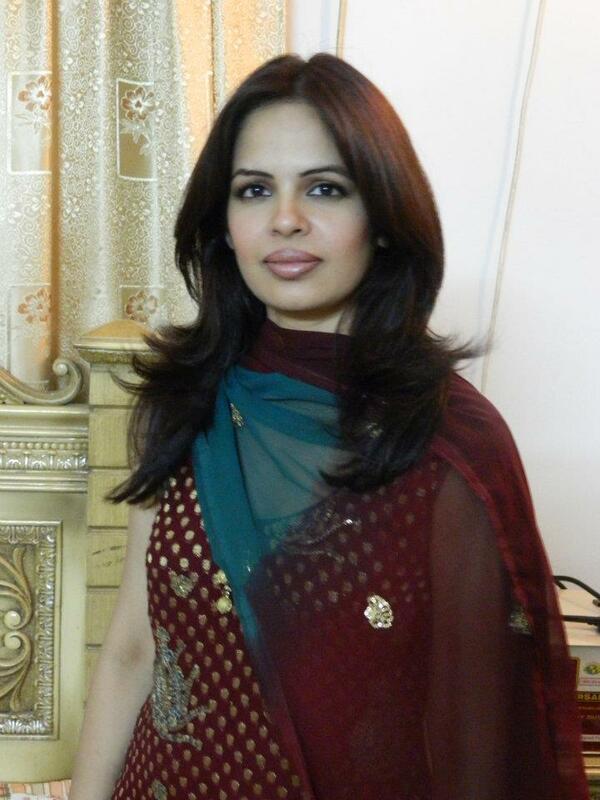 Najia Ashar is newscaster and host of Geo News Television channel . She started her career as a newscaster. she had been hosting Geo News Programs "Yeh Hai Pakistan" and "Nazim Hazir Ho". Dr Tahir S. Shamsi, Medical Director at National Institute of Blood Diseases and Bone Marrow Transplantation, graduated from Dow Medical College, Karachi in 1988. He got the membership of the Royal College of Pathologist in 1994. He was elected a fellow of the Royal College of Pathologists UK 2001. Pioneer of stem cell transplantation in Pakistan. Performed more than 300 blood and bone marrow transplant. He is the author of book on Haematology Histograms. He is the Co-investigator of 3 observational studies. He has written 7 chapters in Haematology reference and text books. There are 31 research papers to his credit. He is the joint editor of a multi-author book on â€œThrombosis & Haemostasis in Obstetrics & Gynecologyâ€ by Blackwell since oxford. He has recently completed phase II studies on: Hb-F augmentation in Beta Thalassemia major. Eltrombopag in the management of chronic refractory ITP. His main areas of interest are stem cell biology, tissue factor â€“ factor VII pathway and novel therapeutic approaches in Haematological disorders. He is the Medical Director, consultant Haematologist / Transplant physician and director stem cell programme at National Institute of Blood Disease & Bone marrow transplantation, Karachi. Mr. Qamar Hussain is the President of National Bank of Pakistan (NBP), the largest Commercial Bank of the country. He holds an MBA degree in International Business & Finance from Mcgill University, Montreal, Canada and has undergone extensive training in business leadership abroad. Mr. Hussain started his banking career from Bank of America N.T. & S.A., Pakistan in the year 1981. Prior to joining NBP in 2009, he has worked with American Express Bank Limited as Senior Director Global Credit, New York and earlier as Senior Director Country Manager, Bangladesh. He had also been associated with the CHASE MANHATTAN BANK in Pakistan and USA. Mr. Hussain is a distinguished Banker and brings with him rich experience in various aspects of banking particularly in Corporate Finance, Credit/Risk Management, and has excelled in strategic planning and business management. During his tenure with NBP as Chief Operating Officer, he has made significant contribution in recognizing the field structure throughout the country, strengthened credit and risk function, reorganized Corporate and Investment Banking Group, streamlined performance management processes and as a member of Bank’s strategic planning team has initiated business and other changes for further strengthening the organization. Secondly:International relations & political theory. After getting lot of experience He came into Media for Sake of Raising Voice of People. Currently He is Doing a marvelous Show in History of Pakistan "Frontline with Kamran Shahid " . is a hard hitting solicit- political and Current affairs TV show. This show intends to present the Voice of Unheard. Its format include documentaries,Topics related to different Walks of Life,first time discussed on TV, Road Shows, One on One Interviews and panel discussion with national and international issues,Students Interaction with Leaders,Youth Questions Direct to Policy Makers..Public Opinion (Viewers Poll) is a core feature of the program as well. 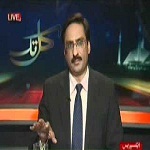 Born on January 1, 1968, Javed Choudhry is undoubtedly one of the most prominent journalists of Pakistan. Many domestic and international surveys have established that his column titled Zero Point is the most read column in Pakistan. A proof of his popularity is that ?Zero Point-I,? the first collection-book of his columns has been reprinted in 72 editions since 2000 while the second book, "Zero Point-II, published in 2005, has already gone through 37 editions. Both these books and also Zero Point-III and IV are the current best sellers in Pakistan, which is another acid test of Mr. Choudhry's popularity among the masses. He holds a master degree in Mass Communication from Islamia University, Bahawalpur (1991) and the university awarded him a gold medal for his excellent academic performance. A career journalist, Javed Choudhry has held many positions in the national press. In 1997, he joined Daily Jang, as a columnist. In 2006, Javed Choudhry joined Daily Express and is one of the leading members of the daily newspaper's team of Columnists. He is also the anchor of a popular TV current affairs programme "Kal Tak". According to latest opinion poll surveys, the TV programme Kal Tak ranks among the top three current affairs programmes in Pakistan. He has also attended prestigious institutions like Columbia University and John Hopkins University for courses on Media Management, Creative Writing, and Opinion Building. Mr. Chaudhary is also a personal trainer and delivers lectures on talent discovery and modern media related fields. He is on the panel of many national universities to hone the leadership skills among the youth. Many apex national institutions, including National Police Academy and Civil Services Academy, regularly invite him for his lectures and analyses on matters of national and international importance. He likes to read, travel and socialize. Mr. Chaudhary is married with four children. He lives in Islamabad. 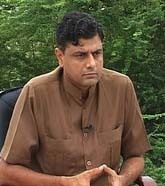 Syed Talat Hussain is a top Pakistani news and current affairs journalist. He has a long history of hosting shows on various Pakistani news channel. He is well known for his in depth analysis, and unique style of hosting. He is considered as the most prestigious and respected hosts on Pakistani news scene. He writes for newspapers as well as appear on various other shows as an analyst. Currently he is working with Dawn News Tv part of Dawn Media group and Aurora Broadcasting Service. He recently left Aaj Tv as executive director News and Current Affairs. In the past he has written for Newsline, Time Magazine. He also occasionally contributes to India Today. In the international arena he has worked with CNN and ABC as a producer and has done extensive reporting for Los Angeles Times, and the New York Times. In 2008 he started writing columns for The Daily Express. As a media professional he has vast experience in establishing news and current affairs systems. He established ARY’s Islamabad office and headed the team that launched PTV World News. He has held key positions of Director, News & Current Affairs, with Pakistan Television Corporation, Prime Television (UK) and Telebiz. Mr. Ahmer Bilal Soofi did his graduation from Government College Lahore and his LLM from the University of Cambridge in 1988. He was enrolled as an Advocate of High Court in 1988 and as an Advocate of Supreme Court in 2000. Abdul Qadir Qureshi, whose career as a working journalist spans well over four decades, has the standout quality of undertaking the toughest of assignments and delivering in the nick of time. Meeting and beating deadlines have been the hallmark throughout his illustrious career. He made the national news agency of the country proud by filing innumerable stories day in and day out for decades. His efficiency and consistency have remained unmatched in the profession. His contribution to the cause of the Associated Press of Pakistan (APP) has been legendary. Jumbo Karachi Guide presented a different kind of challenge to Abdul Qadir Qureshi in the role of Chief Editor. But he brought all his expertise and experience into play and came up with a spectacular performance to put together the landmark publication. Abdul Qadir Qureshi, widely recognized as the doyen of working journalists in Karachi, has always believed in letting his work to do the talking. He has done a commendable job by making Karachi’s first-ever comprehensive travel guide a real historic document. His selection of top-class articles in the inaugural issue has provided a head start to the project. Jumbo Karachi Guide has been published by Jumbo Infomedia. It is spread over 148 pages of A-5 size in four-colour while being printed on Matt Finish paper with worthy resource material between the covers. Anis Shiekh heads the business desk at dunya Television, also the host for the daily business program NafaNuqsan. Mr. Shiekh is a seasoned journalist with over 10 years of experience in Media Industry, having contributed for National and International News Media in the capacity of Columnist, Reporter, Editor and Anchor. For the last five years he is working as a Television journalist. 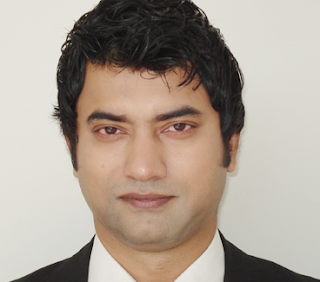 He is a technical analyst for Equities and Commodities and has written many articles based on his research. Previously he has worked as a software developer and designed financial applications for Companies working with Kuwait and NewYork Stock Exchanges. He is MS (Computer Science),BSc., MCSD, MCSE, CCNA and DCS. Asma Chaudhry has been associated with the field of journalism for 10 years. She started her career as Sub Editor in Jang Group of News papers, Asma soon got associated with the state television and worked there as a producer. 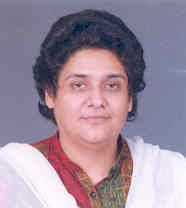 She was the recipient of PTV award for program Vision Pakistan in 2003. 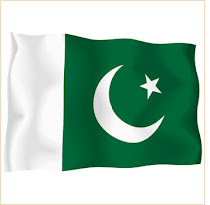 Later she worked with the top rated channels of Pakistan as a producer and then anchored Program �Parliament Cafeteria� from parliament with prominent political personalities of Pakistan. As special diplomatic correspondent she covered the AGRA summit, SAARC summit, us presidential elections 2008 and also visited for special assignments in USA, UK, India, Germany, Srilanka, Afghanistan, Bangladesh. Ms Chaudhry has also participated in IVL program by state department USA on Documentary Productions and Film Making. 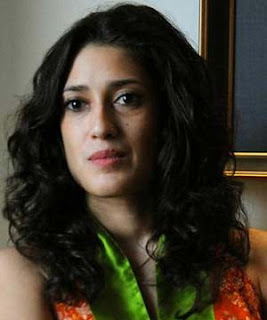 Fatima Bhutto was born in Kabul in 1982. Her father Murtaza Bhutto, son of Pakistan's former President and Prime Minister, Zulfikar Ali Bhutto and an elected member of parliament, was killed by the police in 1996 in Karachi during the premiership of his sister, Benazir Bhutto. Fatima graduated from Columbia University in 2004, majoring in Middle Eastern Languages and Cultures and from the School of Oriental and African Studies (SOAS) in 2005 with a Masters in South Asian Government and Politics. She is the author of two books: Whispers of the Desert, a volume of poetry, which was published in 1997 by Oxford University Press Pakistan when Fatima was 15 years old. 8.50 a.m. 8 October 2005, a collection of first-hand accounts from survivors of the 2005 earthquake in Pakistan, was published by OUP in 2006. Her third book, Songs of Blood and Sword, will be published around the world in 2010. Fatima wrote a weekly column for Jang - Pakistan's largest Urdu newspaper and its English sister publication The News – for two years. She covered the Israeli Invasion and war with Lebanon from Lebanon in the summer of 2006 and also reported from Iran in January 2007 and Cuba in April 2008. 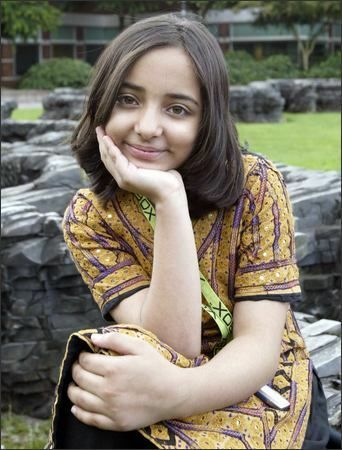 Arfa Karim Randhawa (born 1995), in Jatt Randhawa family is a student from Faisalabad in Pakistan, who in 2004 at the age of 9 years, became the youngest Microsoft Certified Professionals (MCPs) in the world, a title she kept until 2008. She was invited by Bill Gates to visit the Microsoft Headquarters in USA. The vice president of the Software Development Division Mr. S. Somasegar wrote about it in his blog. On returning to Pakistan, Arfa had numerous interviews on almost all of the country's known television channels and newspapers. In August 2005, Arfa Karim received the Fatimah Jinnah Gold Medal in the field of Science and Technology, presented by the Prime Minister of Pakistan at that time. She also received the Salaam Pakistan Youth Award again in August 2005 by the President of Pakistan. Arfa Karim is also the recipient of the President's Award for Pride of Performance. This is a very high level civil award granted to people who have shown excellence in their respective fields over a long period of time. Arfa is till now the youngest recipient of that award ever. In November 2006, Arfa was invited by Microsoft to be a part of the keynote session in the Tech-Ed Developers conference held in Barcelona. The theme of the conference was "Get ahead of the game" and Arfa was presented as a true specimen of being ahead of the game. She was the only Pakistani among over 5000 developers in that conference. Malala Yousafzai, a 13-year-old brave girl who fought for rights of girls’ education during Talibanisation in her hometown Swat, was given National Peace Award here Tuesday. Malala Yousafzai is the first Pakistani child who has been nominated for the Peace award on Universal children’s day. 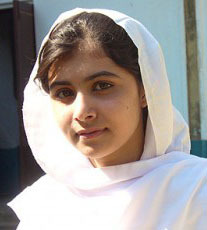 This year a total of five children have been nominated from around the globe and Malala is the only one from Pakistan. DR. ADEEB UL-HASSAN RIZVI, the mastermind laid the foundation of one of the greatest kidney hospitals in the world, Sindh Institute of Urology & Transplantation (SIUT). Since decades, this institute of DR. ADEEB RIZVI is providing free treatment to all patient suffering from kidney diseases, including Dialysis, Transplant, Urology, etc. This shows the whole world that Pakistan, our beloved homeland, still have heros like ADEEB UL-HASSAN RIZVI and SATTAR EDHI. Thanks to people like them, poor people have some hope to live!!! He has one of the leading voices in the world of commercials and documentaries both on Television and 35mm cinema screen. 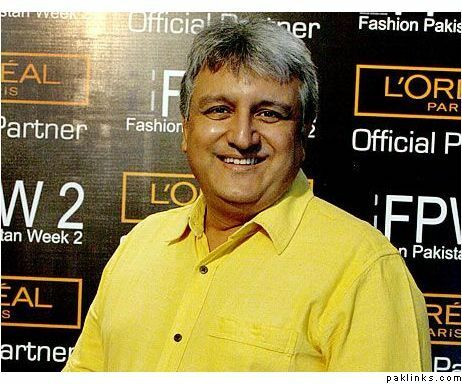 He has performed in a number of TV serials, series and long plays as an actor in leading or second lead characters and has earned great applause as well as numerous awards he has been associated as applause as well as numerous awards ha has been associated as broadcaster in Urdu with radio Pakistan for 28 years. As a journalist; Mr. Khalid Zafar published Pakistan's first video world magazine (weekly video news in English) and monthly video world in Urdu. He was the editor-in-chief and publisher of both these periodicals. He has written, produced and directed commercial and documentaries for Radio, Television and Cinema Screen. With the successful presentation of various TV Serials, Series, Shows and many other programmes, he established himself a competent Director as well. Two and Half decades of successful running of NIDA Studios proves his capabilities and administrational as well a professional expertise. Now he is concentrating to induct Audio-Visual Professional Training Institute to open new vistas of Modern Communication. Apart from his professional expertise, the human side of hi personality is also quite visible. As per his vision, he is also working on public service by providing job opportunities, encouraging young and upcoming talent, looking for a platform and support through NIDA Professional Institute.